What is one thing you must have at school ? That`s right a wand come look and see what wand chooses you ! Have you looked at the wands with wonder not knowing what one to choose ? Well here is a quiz that can help you find the wands for you. It`s a simple thing really. Ollivander himself would be proud to know that you care so much about the wand you use. 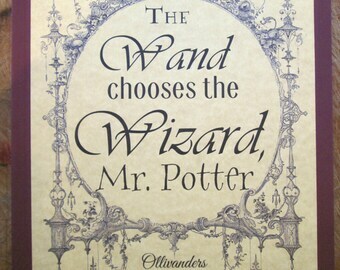 But never forget that the wand chooses the Wizard, it's not always clear why. But if the wand chose you know it was for a reason. Pavithran Wulfric Lol I got Thesral hair!!!!!!!!!!!! Pavithran Ja I got birch wand with phoenix feather core! Elisabelle Muraan I have an augury feather core but, I am supposed to have vine and unicorn hair. I know. SunHi Rutherford The wand that was on top of the list for me was the one I had bought, luckily. Yuna Blain I am so happy everyone likes my quiz! thank you guys so much for taking it! Nessa Leka Wow this is really accurate, I love it~!